Besides India and the Gulf, Priya Prakash Varrier also shot to stardom in Pakistan and Egypt. Priya Prakash Varrier is internet's latest find who doesn't really need an introduction. 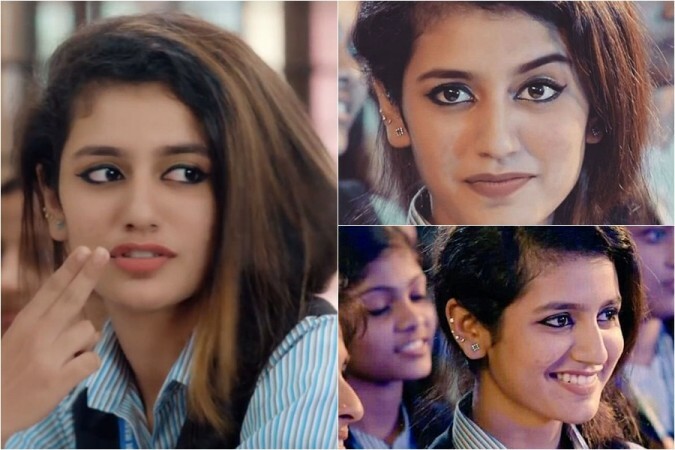 The lucky girl became an overnight star after her mere 20-second clip from Manikya Malaraya Poovi song from her upcoming debut film Oru Adaar Love made its way on social media a couple of days ago. She instantly found her way into the hearts of millions of men who are still recuperating from the damages caused by her flirtatious wink and sweet smile. And while you all must have trawled the internet and read about her, here we list some interesting facts about the winking girl who has now become the nation's crush. 1. Priya is trained in Mohiniyattom, one of the eight Indian classical dance forms recognized by the Sangeet Natak Akademi. 2. Priya has become the third celebrity in the world to garner more than 600k followers on Instagram in a single day after Kylie Jenner (860 K on Feb 5, 2018) and Cristiano Ronaldo (650 K on Feb 13, 2017). As of February 15, her Instagram followers stands at 3.3m and still counting. 3. Besides India and the Gulf, Priya also shot to stardom in Pakistan and Egypt. She became the most searched person on Google beating Deepika Padukone and Mouni Roy while Sunny Leone still remained on the top. 4. Priya became active on Twitter just a day before the release of the song Manikya Malaraya Poovi and has already garnered 14.8k followers. 5. Just hours after her 20 seconds winking clip went viral, over hundreds of fake accounts were created in her name on social media. 6. When not shooting or studying, Priya likes to listen to her favorite music, keep herself engrossed in dance and travel. 7. Priya is 18 years old. She got non-stop Valentine's Day requests on social media but the Malayalam actress prefers to stay single pringle. 8. Priya is born and brought up in Punkunnam, Thrissur, Kerala. She has been pursuing B-Commerce in the city. 9. Priya is approximately 5'4" tall and weighs around 48 kgs. 10. Priya's birth date is 11 September 1999.